Back in 2010, I was awarded a STEM grant and got to take 24 FREE credit hours of Math and Science classes through our ROE. One of the lessons that we did was on pollination and the instructors used glitter. We got to talking and thought that Cheetos would be an AMAZING visual since it looks so much like pollen. I took the idea and ran with it and created a resource for it. I wanted it to be as visual as I could for my Kinders, so I made puppets to go on our fingers too. E is for Explore did a couple of write ups on it and linked back to me over the years. Thanks!!! First, you’ll want to prepare your flowers and puppets!! I print and laminate my puppets and reuse them each year. 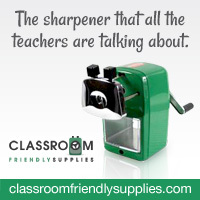 Your students will put their finger puppets on and fly their little bees to their flower. The bees will land on the flower. When they do, the pollen will stick to their “legs” (fingers). Give your students time to land their bee on the flower and eat all of their Cheetos. Remind them NOT to lick their fingers AT ALL during this process. That can be a very hard thing to do! But, they want to accumulate as much pollen as possible on their legs! Now, it’s time to pollinate a friends’ flower!! Have those little bees fly over and land on a friends’ flower and see what happens! When the bee lands on the other flower, some of the pollen falls off. Now, that flower has been pollinated!!! During our experiment, we were busy recording out findings!!! Here’s what we found out!! You can grab this experiment by clicking on the picture below! Here are some awesome Youtube videos that I like to show my kiddos with this lesson too!! !